Amdy Tibbs is Head chef and owner of Poco Culina, a totally independent Cheltenham-based business dedicated to creating exciting, flavoursome food with art and flair. 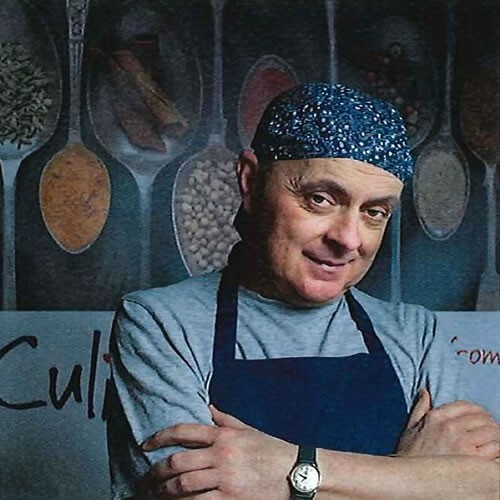 Andy runs Quality Endorsed courses at The Isbourne on plant-based nutrition, cookery skills and how to transition to a full or partial vegan diet, with a particular emphasis on Eastern cooking techniques. He is a passionate and committed cook dedicated to passing on knowledge of plant-based cookery skills, techniques and ingredients. Andy says "We are committed to using ingredients that have a positive impact on health and wellbeing. All of our ingredients, techniques and packaging are 100% cruelty-free and derived only from plants. Where possible, we source from responsible, organic suppliers and independent local suppliers. We make everything we sell ourselves (and grow some of it too!)."